As one of the fastest-growing canine sports in the world, dock diving is making a big splash with dogs and humans alike. Enthusiasts in the Northwest are fortunate that Hillsboro is home to an indoor dock diving facility. The facility makes year-round practice and competition both possible and fun. 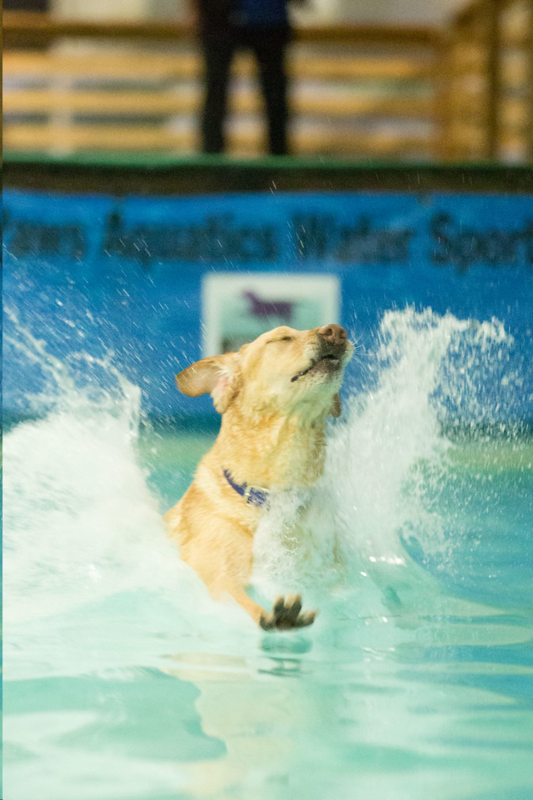 “The dream of opening a combination rehab and indoor dock diving facility became real almost four years ago,” explains Diane Kunkle, certified Canine Rehab Practitioner, who co-owns Paws Aquatics Water Sports and Rehab with Julie Thomas. In dock-diving events, dogs run the length of a dock and leap as far as possible into the water, competing for distance, height, or -- in timed events -- for speed. Human competitors throw a prized toy just out of reach, motivating dogs to keep their momentum and launch into the pool at the best-possible angle. The sport offers variations on the diving theme. For example, an in-the-air retrieve event, the coveted dog toy is suspended four feet above the water to start, moving higher as dogs complete each level. With its growing popularity, the sport is drawing a wider variety of breeds. “About 10 years ago, it was pretty much all Labs, but then the other breeds started to try it. Right now Whippets kind of rule the sport,” Kunkle explained. 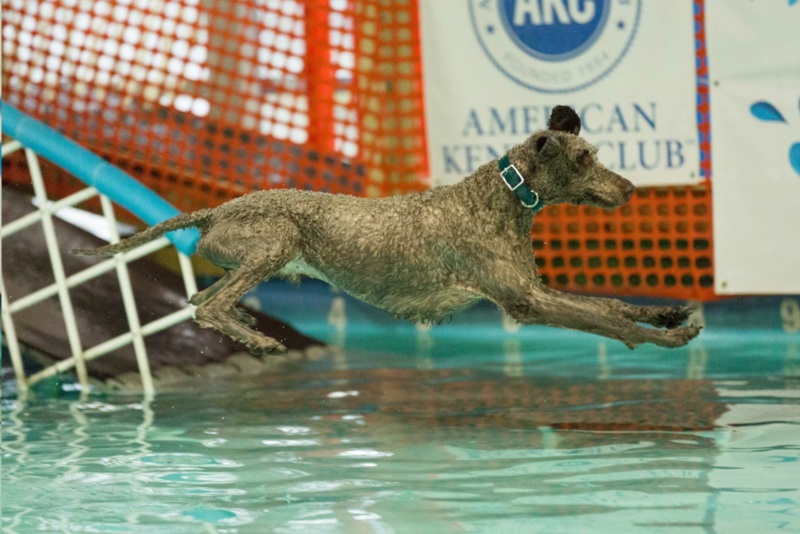 When Spot Magazine attended a February dock diving event, a Whippet named Sounders jumped so far he touched the back of the pool -- a little over 33.5 feet. The impressive dive matched his world-record jump in December’s National competition. It’s an equal-opportunity sport. Whether low-slung lap dog or tall Russian Wolfhound, in this game, size really doesn’t matter, and the mix of breeds is endless. The sport’s organizing body, North America Diving Dogs (NADD), divides dogs into two size divisions -- those 16 inches or taller at the withers, and those shorter. There are also divisions like novice, junior, senior, master and elite within each height category. Kunkle says new dogs get a slow introduction to the sport. “We start them off the side deck, only 8 inches off the water, before moving them to the dock,” she explained. 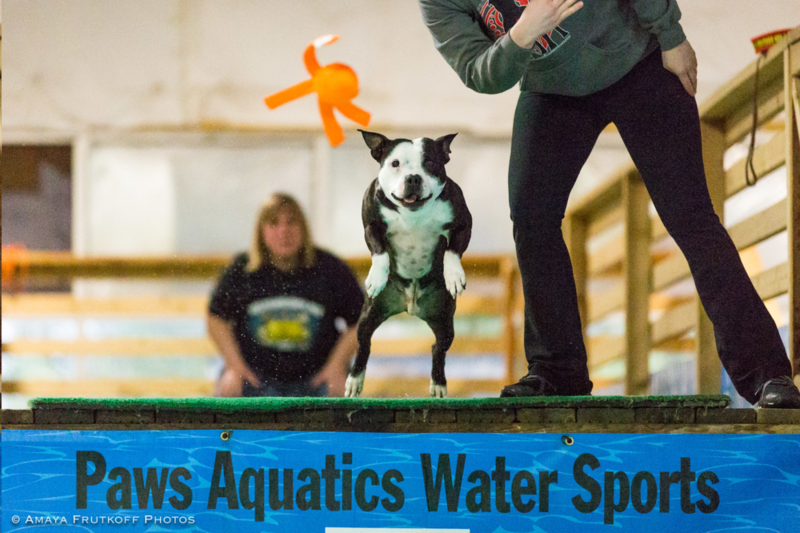 Her first diving dog, Hoodlum, was the 2015 NADD Senior Lapdog National Champion, inspiring many Boston Terriers and other “littles” to follow his example. Hoodlum’s success drew Zimmerly-Offinga’s friend from Canada, Mary Young, into dock diving. She has elite jumpers and announces at events. Young’s dog, Swindle -- a female Belgian Malinois -- is an elite jumper who jumps far and high. Swindle is “the best counter surfer around, and likes to sleep under the blankets at night curled in between her humans. She loves everything she does and gives 100% every time,” Young says. A tiny jumper’s personal best may be nine feet where the big jumpers sail out 32 feet or farther, but “the human-dog team is what keeps people coming back,” Young asserts. “I live in BC Canada and drive to Oregon for all their events. What I love most about diving is the camaraderie amongst competitors encouraging and helping with each other. We are competitors, but most are friends first,” she said with a smile. Diving events require registering with NADD – North American Diving Dogs - $35 for the life of the dog. Each competition has entry fees. For information on registering your dog with NADD and finding an event, go to NorthAmericaDivingDogs.com. 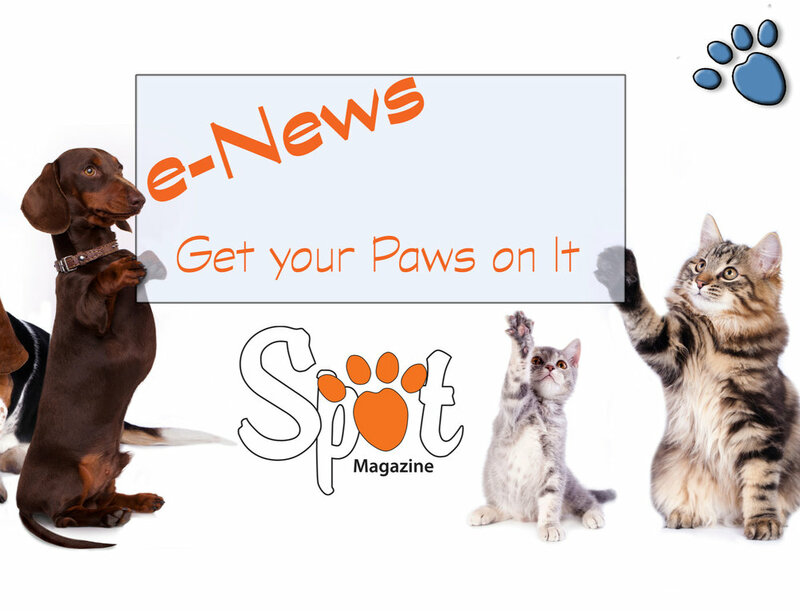 Posted in Feature, Animal Welfare, Health/Wellness, Travel/Recreation and tagged with Features, Dogs, dock diving, Water, Water Therapy, water sports.